Berkeley was working hard on the Pooch Walk today. 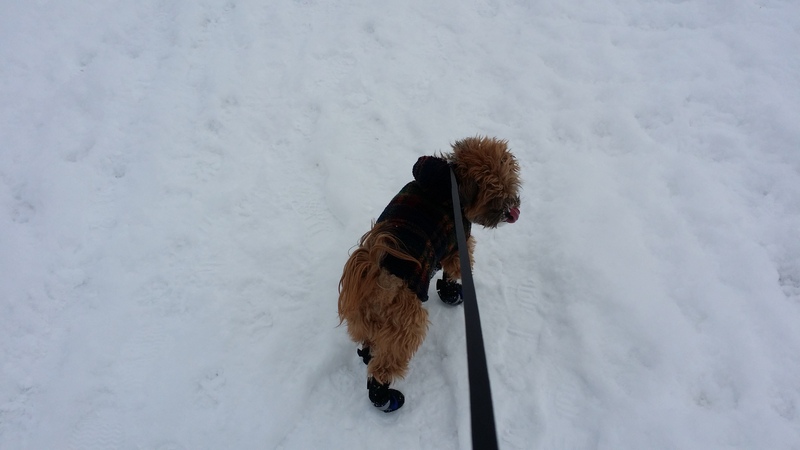 Bearing in mind that he had to contend with chest high snow for much of the time his effort was never found wanting. He also attested to the fact that when he was finished he was indeed a “tired dog”. And happy too! 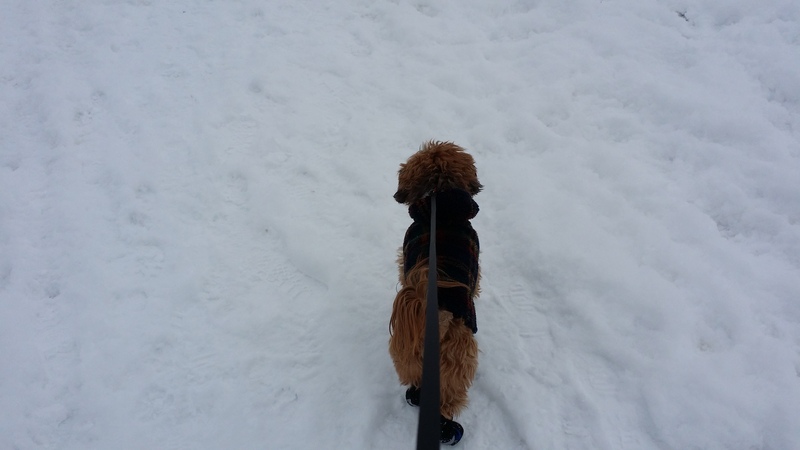 Join the Pooch Walk…you know it makes sense….